Also: Dan & Terry Diebold will show off the Nintendo PlayStation! 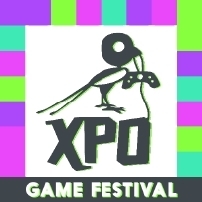 Game Festival, which will be held Sept. Vault Boy! ), and Boss Key’s highly anticipated multiplayer shooter Lawbreakers. Entertainment), noted game journalist Robert Workman, and many more. Sony that’s considered by many to be the “holy grail” of retro gaming. available for $65; however, the price will increase to $75 after Sept.
also get access to that day’s concert and afterparty in downtown Tulsa. Weekend Passes are available for $65 until Thursday, September 1st. Party Passes are available for $10/night or $25 for all three nights. These passes grant you access to each day’s afterparty in downtown Tulsa. general game badassery. For more information on XPO, please visit http://xpotulsa.com. more information on VisitTulsa, please visit http://visittulsa.com.